CONGRATULATIONS to Everyone on a Successful Fundraiser! Wow! 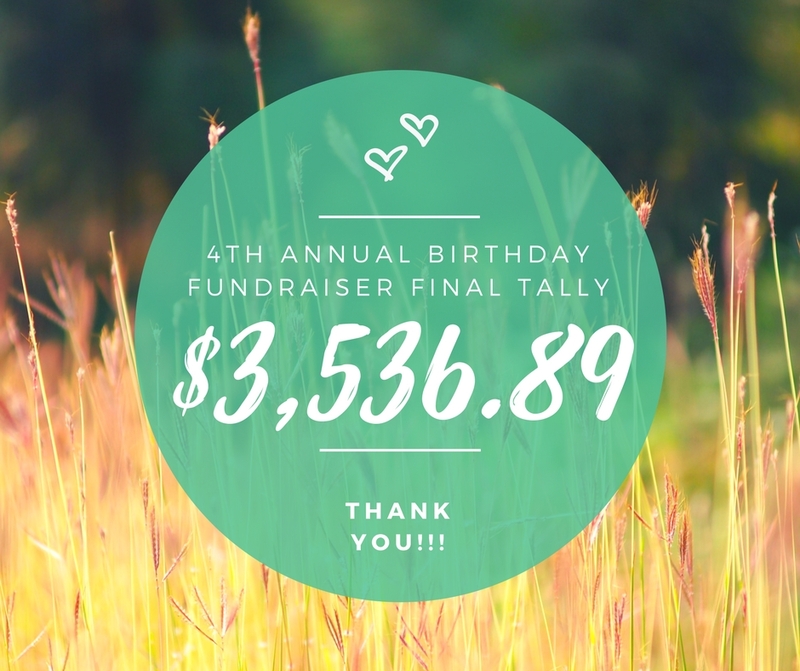 If you haven't seen our final tally, we raised a whopping $3,456.22 this year!!! We surpassed our goal by $340.22! This will allow us to purchase higher quality mattresses for the family! Thank you all SO much for such an amazing turnout! We blew last year's fundraising record right out of the water! I will keep you all updated as I set out to deliver the items to the family this weekend. Thank you again for your incredible compassion and generosity!!! A Few Hours and $104 to Go! Today is the final day of the fundraiser and I am just astounded at this year's turnout! Thank you to everyone who has contributed and spread the word! I am so grateful that you have given me the facility to help this family in such a huge way. We have only $104 to go until we reach our goal! However, I would love to see us surpass that goal so that I can buy higher quality mattresses for the family! We can do this! With only 2 days left, we are $273.70 from reaching our goal! I'm astounded at the response so far, but I'm confident that we can surpass our goal. If we do, our team will be able to purchase higher quality mattresses than the ones we are currently planning on! I can't wait to see what we can accomplish in these last 2 days! Thank you all for your patience as we got off to a late start this year. We'll make up for it by extending the fundraiser to April 10th. And boy was it an incredible first day! With the help of just 10 donors we have reached a whopping $1,692!! One anonymous donor, "Captain Magnificent," blessed us with a $1,000 donation! We are already more than half way to our goal of over $3,000! Keep up the wonderful work everyone! Fundraising for 2018 starts on April 1st! Are you getting excited for this year's campaign? So are we! As always, we will begin fundraising on April 1st and end at 11:59 pm PST on April 8th. More specific information on this year's cause will be posted this coming week!